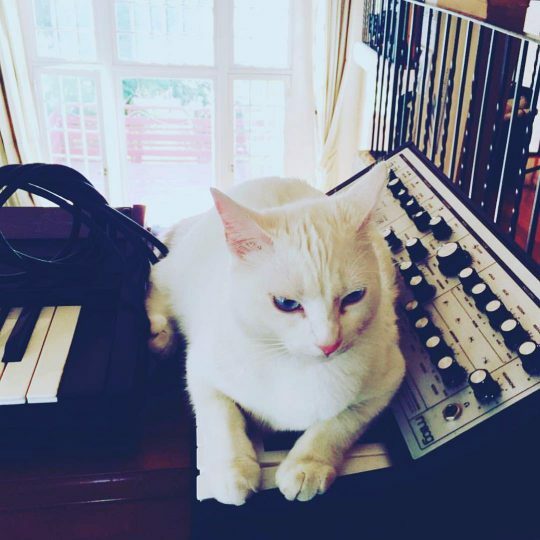 Beautiful white cat Yoli is making a monophonic drone on a Moog Sub Phatty synthesizer. From yolanda.yolanda.yolanda on Instagram. The Sub Phatty is perhaps the most under-appreciated member of Moog’s Phatty line of synthesizers, which includes the popular Sub37. We have one at CatSynth, and it has served us well both in the studio and in live performance. You can view my recent video on the hidden features of the instrument below. It has been a frequent setting for CatSynth pics over the years featuring many different cats, including CatSynth Video: Moog Sub Phatty Purrs.